The Law Office of Adrienne J. Vaughan specializes in immigration law: visas, greencards, US citizenship, and naturalization for individuals, families, and businesses. We can adeptly examine your company’s short or long-term immigration needs and advise you on all available visa categories for your potential employee. We know that timelines and costs are critical, and hence we work closely with you to understand your needs and strategize the best immigration plan for your company. Petitioning for a loved family member can seem like a maze of different government agencies, consulates and paperwork. We simplify the process for you by making a clear plan, and outlining costs and timelines so you can spend more time with your loved one and less time on paperwork. Individuals whose work in the United States is Extraordinary or in the US National Interest have the option to self-petition for their green cards. Individuals can also examine petitioning through their own company as an investor. Deciding when and if to become a US citizen is a life changing event. At Law Office of Adrienne Vaughan we understand the risks, hurdles, and rewards, and are here to counsel you on how to make your own best personal decision. Charting the evolving legal landscape for entrepreneurs, scientists, companies, individuals and families. 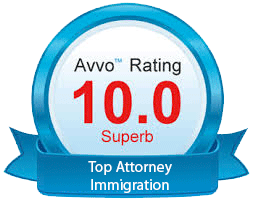 Boston Immigration Attorney Adrienne J. Vaughan has more than 15 years of extensive experience in U.S. immigration. Our firm practices exclusively in immigration law and works with businesses of all sizes, from solos and small start-ups to multinational corporations in high tech, biotech, and many related fields. We bring our creative talent and personal attention to each and every case and seamlessly complete a broad range of nonimmigrant (temporary) and immigrant (permanent) visa options. We don’t limit ourselves to traditional employers or traditional options. We create many self-sponsored green cards for individuals of Extraordinary Ability (EB1) and those whose work merits a National Interest Waiver (NIW EB2). We also offer legal services to individuals in the areas of marriage and family immigration, naturalization and related matters. We bring outstanding customer service and professionalism to every case we handle. We welcome you to explore our services further and to call or email us for additional information.